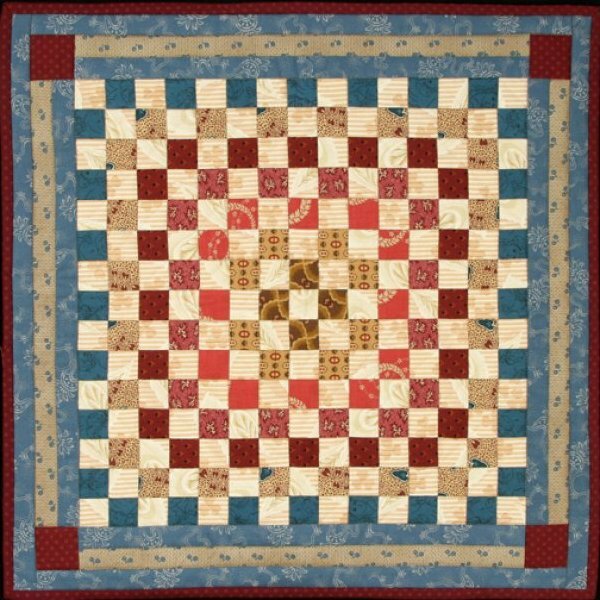 A charming doll quilt. The original was made by a little girl named Catherine from New York. Catherine, her sisters, and eventually her own children played with this sweet little quilt. Now you can make your own replica of Catherine’s quilt with easy to follow directions and my step-by-step color placement graph.